Summertime and lemons are like best friends. You can’t have one without the other and they always complement each other! We took our simple fruity scented slime and turned it into the PERFECT lemon scented slime recipe just in time for the summer kickoff. As always we give you everything you need to make the best homemade slime around including the best slime ingredients and how to achieve the best slime consistency! LEMON SCENTED SLIME RECIPE FOR SUMMER! 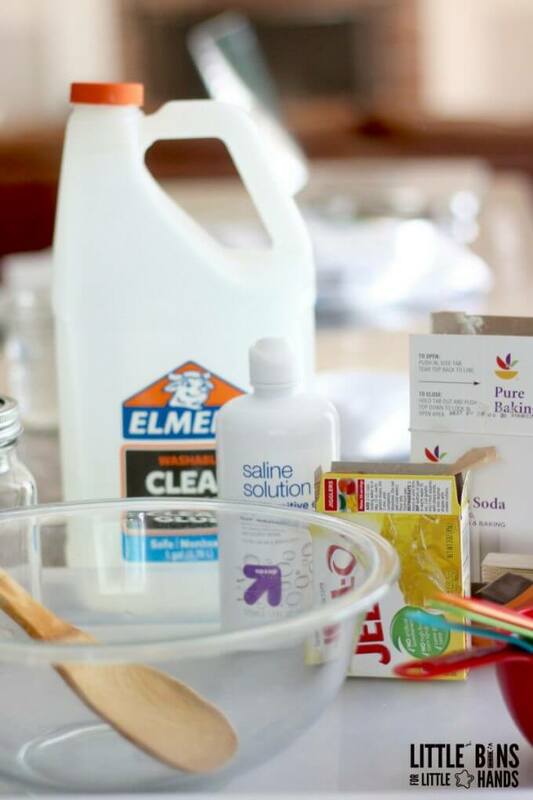 For this awesomely scented slime recipe, we aren’t using fragrance oils. 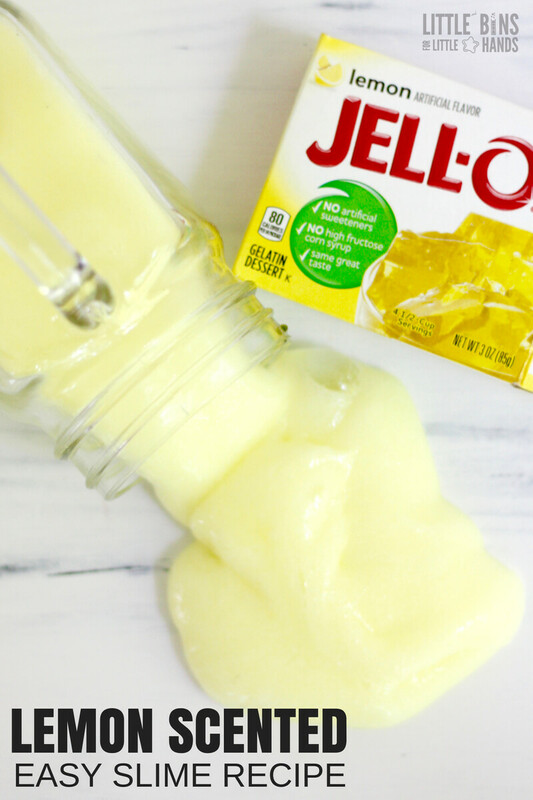 Although oils are popular and easy to use, we think Jello powder is a convenient and inexpensive alternative. We do love fragrance oils too! This slime uses one of our 4 basic slime recipes that you will even find a printable cheat sheet you can download at the bottom of this page. 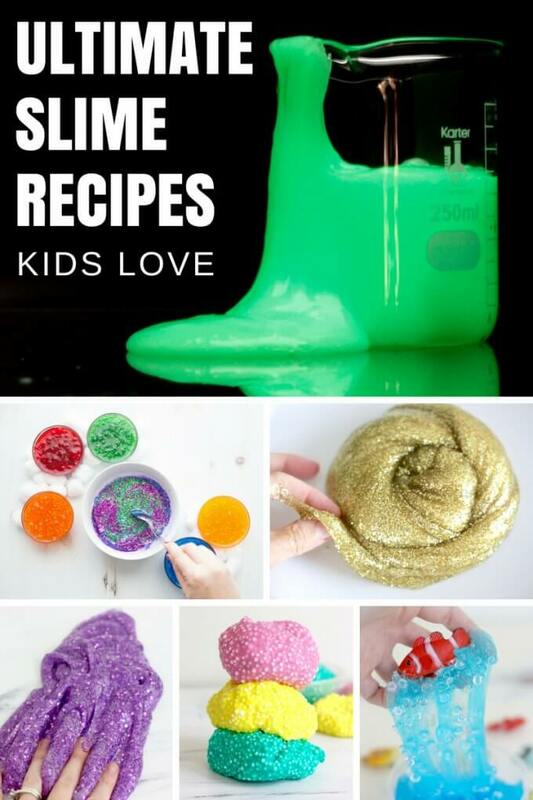 We believe that slime making should be a snap and that you shouldn’t need a billion different recipes to create different slime themes and activities. HOW TO MAKE EASY SCENTED SLIME FOR SUMMER STEP BY STEP! 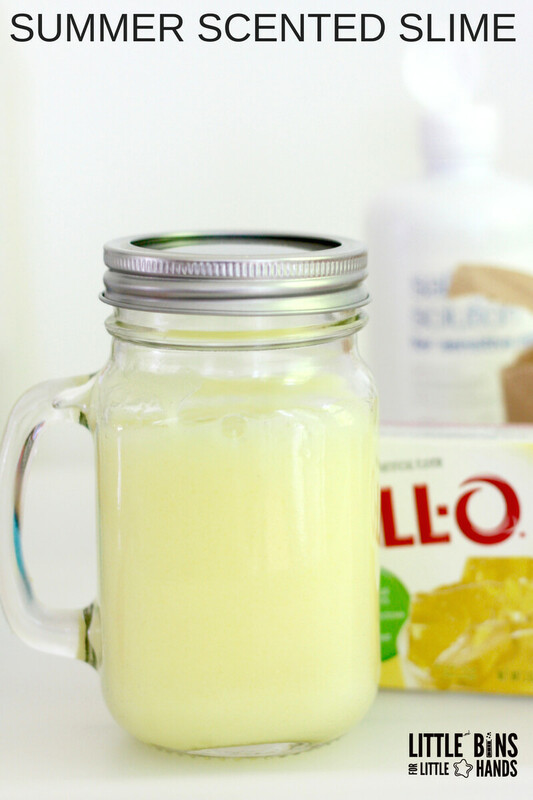 For this lemon scented slime recipe, I prefer to use the saline solution slime recipe method. However, you can also experiment with our other basic recipes. Make sure to read through the following resources before getting started! Additionally, if you rather add a few drops of lemon fragrance oil, go for it. You will want to add yellow food coloring as well. How To Fix Slime: Troubleshooting Guide! 4 Basic Slime Recipes To Master! 75+ Ultimate Slime Recipes and Our Slime Book! Here are the step by step instructions to create this specific lemon scented slime. However, if you would like to view picture steps and videos, check out the main SALINE SOLUTION RECIPE page for more information including additional tips and tricks. If you still find you are having trouble, and you have looked through the troubleshooting guide, email me! First, mix glue and water together in a bowl. Next go ahead and add the jello powder and stir. If you wan too make a brighter yellow lemonade slime, add food coloring now! Add in baking soda and stir to incorporate. The final step is to add the slime activator (read more on slime activators here) which is the saline solution, please note the original recipe calls for 1 tbsp to be used. 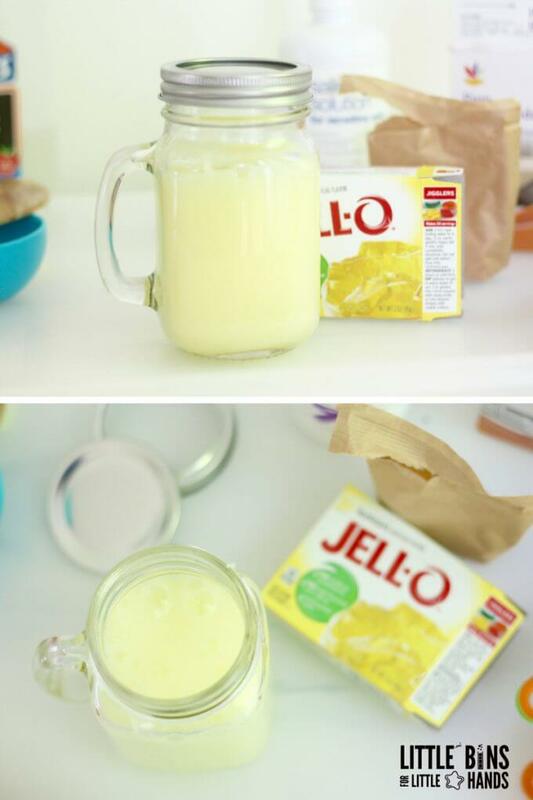 This recipe, due to the gelatin powder, requires at least an additional 1/2 to full tablespoon more. It will be a looser slime, and you can continue to add a few drops of saline at a time to stiffen it up! Knead your slime well to reduce stickiness and improve consistency. Spend a couple minutes or more kneading it in your hands or even in the bowl to start. A little trick is to put a few drops of solution on your hands before picking up the slime! Slime easily fits the bill when it comes to engaging multiple age groups at the same time. keep in mind that this slime recipe is NOT edible! We do offer a variety of taste/safe slime recipes including an edible JELLO slime recipe! 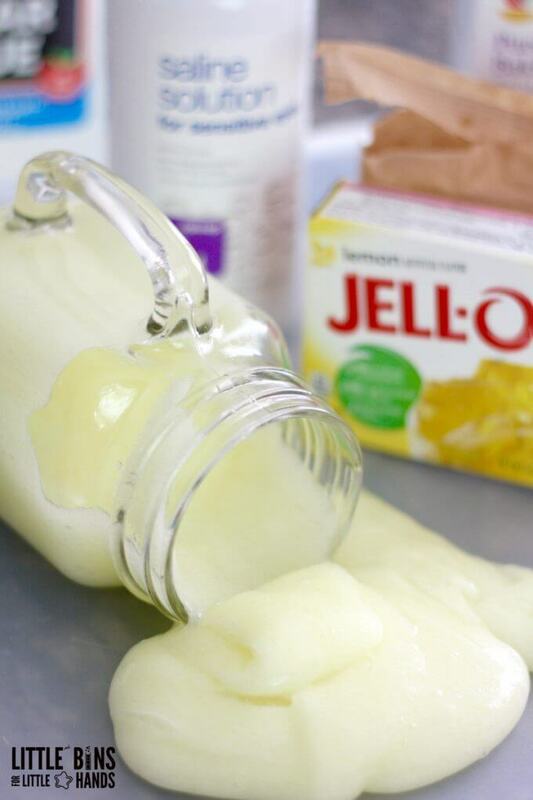 Now your have just made a super easy lemon scented slime recipe! Perfect to beat the summer boredom blues or for a fun camp activity! From trial and error (scientific experimentation) we found that several items will keep the slime from forming! They include lemon juice, koolaid, and honey! Pretty neat to learn that the acids in these ingredients break down the chemical substance formed between the glue and the activators. This is why the JELLO powder does require a bit more saline to form the slime. 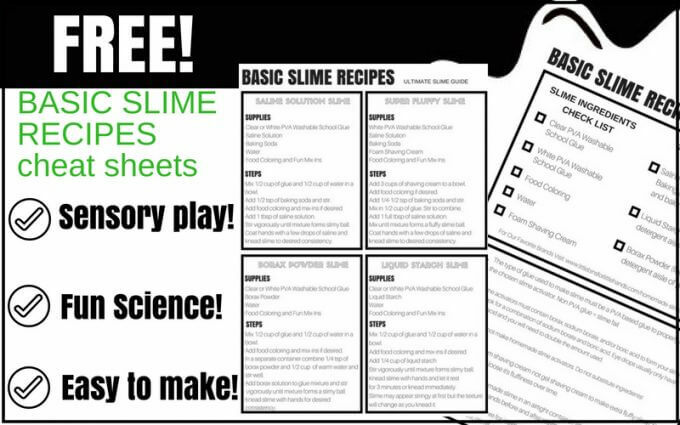 Make sure to grab your FREE printable slime recipe cheat sheets too!